Dream | . :My place in the scrappy space:. I actually forgot to show the last LO I made during 2013, a LO about my daughter. She has a fun habit when she is sleeping, she uses a headband to cover her eyes. just like a mask. 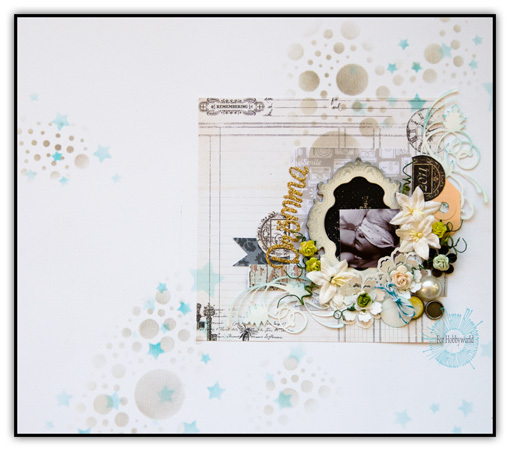 I wanted to make this LO just as dreamy as she is, and I used papers and masks from Prima, swirls cut out with my cameo, and flowers from Wild orchid Crafts and some of my favorite color twine -ocean from The twinery.